I love being in the garden. There is very little that can persuade me not to find an excuse to be out there. But there is one thing that will almost always lure me out of my serene little Eden--family history research. I'm an avid family history researcher--a lover of history, old photographs and ephemera, and the possessor of an eye for deciphering cryptic handwriting and old newspaper print. I love piecing together a life story. I suppose family history research is much like gardening. Every time I plant a seed in the ground it is a miracle to me that it grows into anything--let alone the beautiful flower or vegetable that it does. In family history research, I often start with just a grain of information. Sometimes only a name. It always amazes me when I am able to take that small seed of information and make it grow into the sketch of an individual's life. 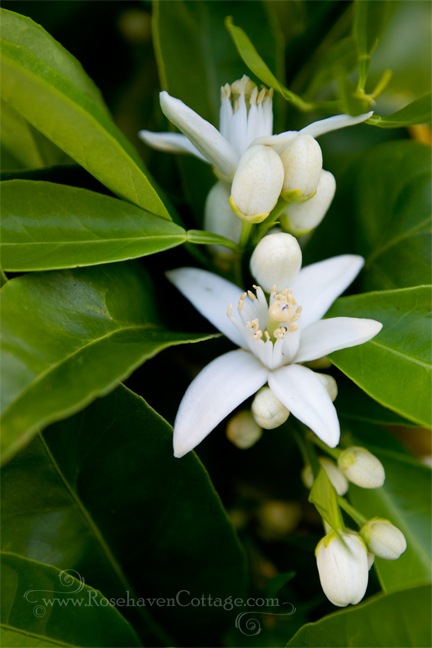 The orange blossoms (featured here in the photos of this post) will need lots of cooperative effort provided by many insects and hummingbirds in order to pollinate them. 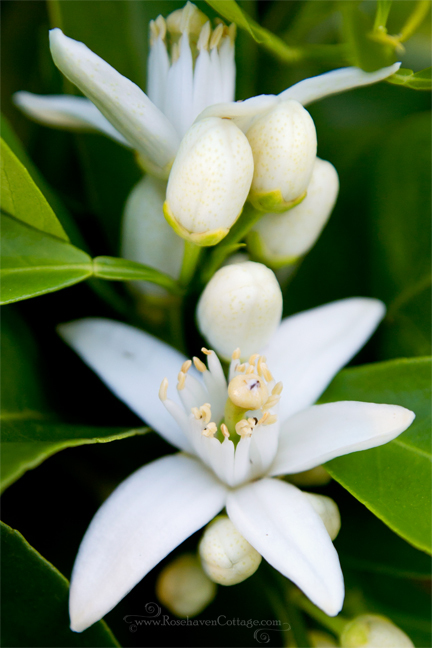 That's the only way these blossoms will become the juicy oranges that I love to eat in the winter months. Family history research is impossible without the collaborative effort of many individuals doing everything from preserving old documents to collecting the information into a usable set of searchable data online (and many other tasks in between). It is through those efforts that I am able to gather bits and pieces of information (much like a bee gathering pollen), compile the disparate pieces, and end up with rich and sweet life stories of individuals who have passed on. And both my garden and my research bless my life in ways I cannot begin to enumerate. They are choice activities that bring me closer to my Maker more than any other I can think of. I can see why it's so interesting to spend time with researching your family tree. I like the way you've united two of your passions here. What little I know about my own family history is quite scandalous, particularly for the time in which they occurred. On my husband's side, there is apparently a town in France that was founded by a distant relative and bears our family name. In all my travels somehow I missed this wonderful post. 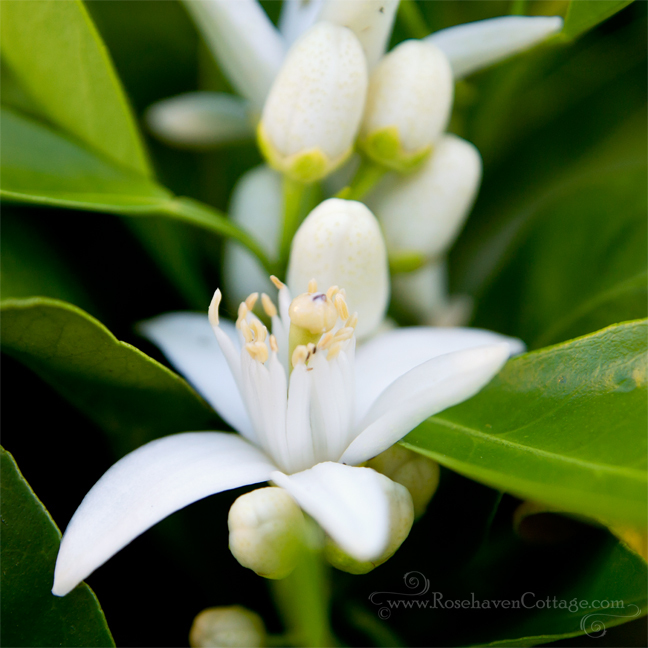 As I drove down the I-5 Saturday morning I passed miles and miles of orange groves... I love that smell.